Special 50% discounts for tickets to concerts and festivals of our partners. Sting, Guns N´Roses, Depeche Mode, Aerosmith, Robbie Williams will sing in Zurich this year? PLACEBO, Deep Purple, Nick CAVE and Cirque du Soleil will perform this year in Geneva? we will help your staff and their significant others not to feel bored in Geneva! Affiche Club subscription: 40 CHF for 6 months / 80 CHF for 1 year. 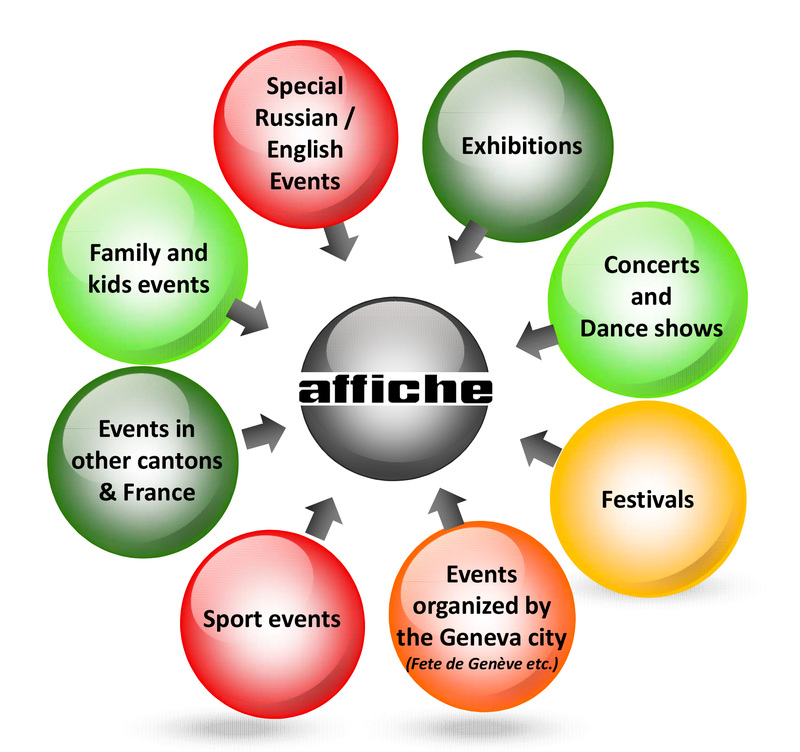 Affiche is the main source of information about cultural life in the region for the Russian community for the last 4 years. Our subscriber base currently consists of over 2’300 Russian-speaking readers. 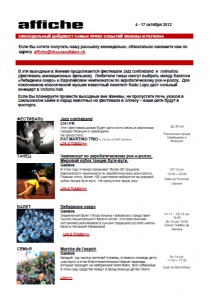 Please contact us for advertising prices in the Affiche in Russian.